Alienware’s new gaming laptops have landed on earth. Created to redefine the PC gaming experience, the new iconic design promises to be the most powerful gaming device in the universe. 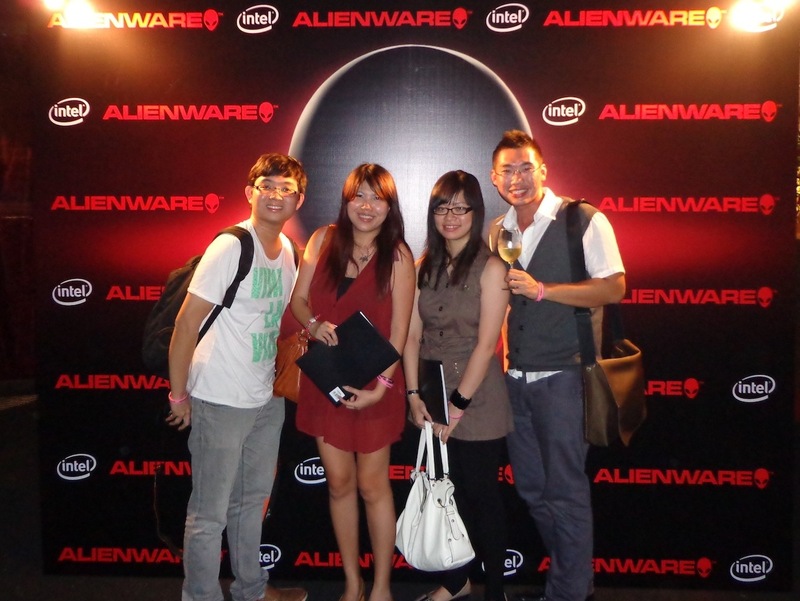 Alienware, the pioneer in specialty high-performance PC gaming systems, releases the Alienware 14, Alienware 17 and Alienware 18 in June 2013. The systems feature a bold new design and extraordinary performance, uniquely engineered to deliver the ultimate gaming experience. The new laptops include the Alienware 14 for the enthusiast gamer who requires a laptop that provides enough performance for any task, yet is mobile enough to fit into a backpack; the Alienware 17 for an immersive, graphics-intensive experience with the latest technologies for desktop-grade performance; and the Alienware 18, the ultimate gaming laptop that commands respect among top gamers for its unparalleled performance and construction. All three laptops feature a new, iconic, angular design that takes its cues from jet engines and stealth bombers with an anodized aluminum shell and magnesium alloy body. The latest laptops are exceptionally durable, with over 60 percent of the main mechanical components made of various metals. The keyboard is protected by a reinforced plate to ensure a solid typing experience, while the travel and responsiveness is specifically designed with gamers’ needs in mind. Based on customer feedback, the new Alienware 14 now features an anti-glare LCD display with wide viewing angles for reflection-free gaming in nearly any lighting condition, including a premium Full HD panel option with IPS. For 3D gaming enthusiasts, the Alienware 17 has an optional 3D panel for an immersive visual experience, while the Alienware 18 will feature a Full HD display with PLS wide viewing-angle technology. Along with the new design, the laptops also feature a number of components that when combined create a superb PC gaming experience. The laptops sport full voltage, quad-core 4th generation Intel Core i7 processors, and NVIDIA GeForce 700 series graphics. DDR3L memory provides exceptional bandwidth with lower voltage requirements designed for increased battery life, and the laptops now provide support for up to three storage drives on the Alienware 14, and up to four storage drives on the Alienware 17 and 18. For the first time ever, the Alienware 18 will feature NVIDIA SLI dual graphics technology as standard, and the laptop will offer an overclocked CPU option with a maximum speed of 4.3GHz. The laptops all feature Ethernet technology by Qualcomm’s Killer networks, Klipsch speakers and Dolby Home Theater v4 audio. The updated Alienware Command Center software provides intuitive, user-friendly access to Alienware-exclusive applications and controls in one centralized hub. Command Center includes the exclusive AlienFX lighting control system which allows users to create their own custom lighting themes and special effects. The new laptops have up to 20 colors to choose from across 10 different lighting zones, totaling to over 10 trillion lighting combinations. 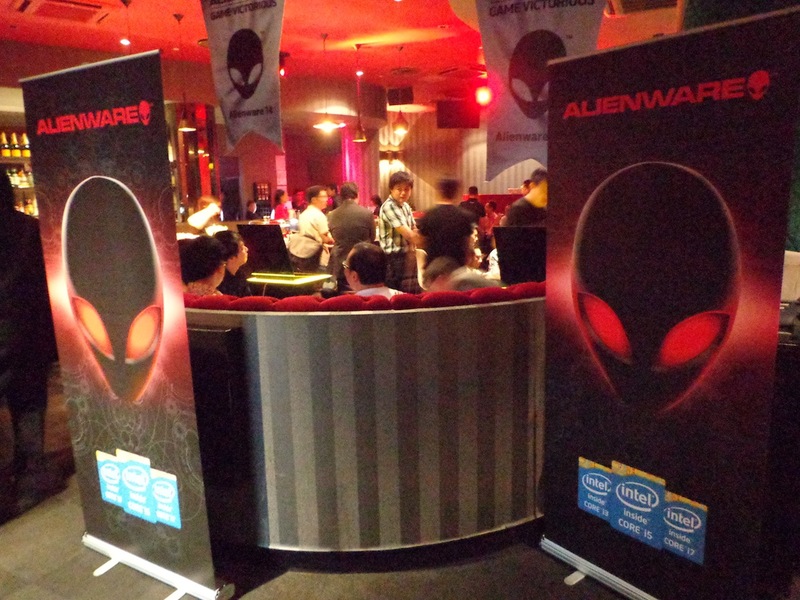 Alienware has worked closely with game developers to incorporate AlienFX in over 60 game titles, including cross-platform titles like Anomaly2, to PC-exclusive titles like SMITE and Neverwinter, for an immersive experience that can only be found on an Alienware. Whether healing, taking damage, or completing missions, AlienFX lights are an extension of the game play. 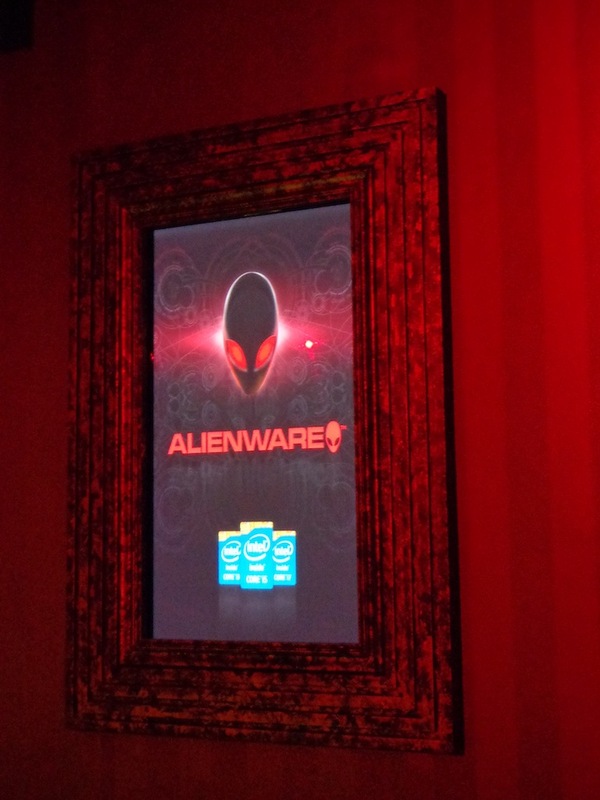 Alienware Command Center also features AlienAdrenaline, a custom configurable game and application automation tool, the new Accelerator dynamic performance optimizer, and a new performance monitoring tool. Alienware also announced an update to its award-winning X51 gaming desktop, which provides big gaming without a big box or big budget and on any HDTV. The new X51 offers more performance with improved technology in nearly every category over the previous generation. The compact desktop features an efficiently-designed chassis for an immersive experience in a variety of living spaces, and dual orientation capability allows it to lie horizontally or stand vertically. The new X51 boasts Intel 4th generation Core i5 and i7 processors, enthusiast graphics up to NVIDIA GeForce GTX 670, a dual hard drive configuration of 256GB SSD, and 1TB storage for fast boot and resume times and massive storage capabilities. Gamers can protect their performance powerhouse with the exclusive line of Alienware Vindicator laptop bags, specifically designed to house the new Alienware 14, Alienware 17 and Alienware 18 laptops. The series includes a backpack, messenger bag and slim carrying case, while their styling reflects a fusion of urban and military influences. The bags feature sturdy, weather-resistant materials and reinforced handles or straps for comfort and durability, and have smartly-designed, dedicated compartments that allow for organization and protection of essential accessories. With a stylish industrial design that fits into any setting, the bags are a must-have accessory while making the trek to a gaming competition or around town. This entry was posted in Annoucement, Preview and Launch, Singapore, Technology and tagged 3D gaming, 3d panel, 4th generation intel core i7 processor, Accelerator optimizer, AlienAdrenaline, alienFX, AlienFX lights, alienware 14, alienware 17, alienware 18, alienware command center, alienware dell, alienware information, alienware laptops, alienware vindicator laptop bag, alienware x51, Anomaly2, anti glare LCD display, command center, DDR3L memory, dell alienware, dolby home theater v4 audio, Ethernet technology, exclusively designed, frank azor, full HD panel, how much is alienware, intel 4th generation core i5, IPS, klipsch speakers, laptop for gamers, more information about alienware, Neverwinter, new alienware, NVIDIA geforce 700 series, NVIDIA geforce gtx 670, NVIDIA SLI dual graphics technology, PLS wide viewing angle technology, professional gamer, qualcomm killer networks, SMITE, vindicator bags, what is alienware, where to buy alienware, wide viewing angles. Bookmark the permalink.